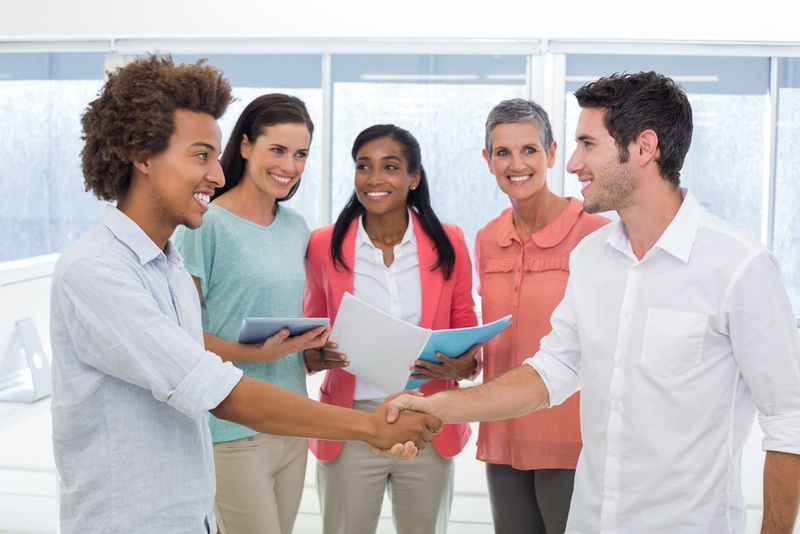 In this day and age of waning enrollment, it’s more critical than ever for recruiters to make a good impression on students. “While total undergraduate enrollment increased by 37 percent between 2000 and 2010 (from 13.2 million to 18.1 million students),” explains the National Center for Education Statistics, “enrollment decreased by 7 percent between 2010 and 2016 (from 18.1 million to 16.9 million students).” Moreover, it predicts enrollment will only jump 3 percent between 2016 and 2027. Undergraduate enrollment in particular has suffered the last several years. Fall 2017 saw a decline, which “was due to undergraduate enrollments, which fell by nearly 224,000 students, or 1.4 percent.” In particular, associate degree seekers, part-time students and non-degree seekers all fell. That means competition among universities will continue to rise, with private schools battling public, similar institutions trying to elbow one another out, and everyone scrambling to make a good impression at important pre-application events, such as recruitment fairs. What does this mean for you, the recruiter? You will need to appeal to the largest possible number of students, instill in them a desire to know more about your school, and provide accessible information that makes it easy for them to stay in contact with you or apply. It is important to remember, although the stakes are high for you at recruitment fairs, they’re high for students as well. Many of them are not sure what they want to do with their lives, where they want to go to school and they are looking for guidance. High school students are strong, mostly independent, intelligent and motivated – but they’re still young, and they still look to adults to guide them. If you can be that guide, you will immediately outclass other institutions, who are relying on a bright banner and some pamphlets to do their talking for them. Make eye contact, smile and don’t be overbearing. And, when a student comes to you, give them your full attention. If they feel connected and welcomed by you, that could make a difference to their interest in your school. That means not to control the conversation at all costs. If you want to catch a student’s interest, you must first and foremost show them that you care about what they want out of the student fair experience. That means listening to their areas of interest, how comfortable they are with going away to school, and what they want from their college experience. Once you know what they’re interested in, streamline that information. If you give each student the same informational packet, you will only overwhelm everyone with poorly tailored, voluminous information. Keep in mind that Generation Z are the most tech-savvy generation entering college to date. They may not want to carry packets of paper around from fifteen different schools, but their parents might. It is a good practice to have paper handouts, but also consider having a way for them to access this information online. As an example, having QR codes that they can scan will make it quick and easy. It’s easy to get sucked into the fun of being out of the office, the excitement and – more than anything else – the to-do list of the fair. That in turn means you hyper-focus on just this day or this weekend, when instead you need to play a long game. Remember that it’s just one step in an overall recruitment engine. If you see interesting prospects, give them a reason to follow up…a campus tour, lunch with an alumni, a meeting with a dean or some other prestigious interaction that will encourage them to pick a date even if they don’t commit to your school yet. If all you do is shout “Apply! Apply!” you’ll turn off students who might warm up more slowly and become excellent prospects. Too many recruiters make the mistake of dusting their hands in satisfaction as soon as they close down that booth. When you do that, though, you open the door wide to other colleges and universities – the ones that aren’t resting on their laurels. It’s crucial, if you want to increase college enrollment numbers, that you use quality recruitment CRM software. … and otherwise creating a relationship between them and the university. And, at risk of being redundant, don’t forget about the follow-up to the follow up. Many of your competitor institutions will only follow up once or twice, but if you keep your touches consistent, you have a much better chance of convincing your prospective students to send an application your way. In our recent article, The Importance of Coordinating Student Recruitment and Admissions, we discussed how important the information that you gather and record is to the overall recruitment process. When you meet thousands of students at recruitment fairs, it will be impossible to remember all of them and their specific details. The only way to maximize your efforts and have adequate follow up is through a quality recruitment CRM software. But student recruitment doesn’t end with you and your efforts. The process continues on through admissions and enrollment, and those staff members can benefit from the information you collect. That is why it is so important to have a software program that integrates all of these functions. Schools that understand this and implement a system like this will have the greatest chance of meeting their numbers now and in the years to come.